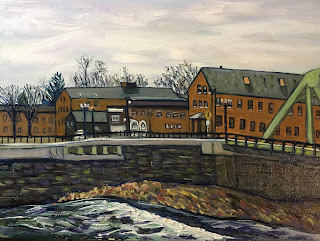 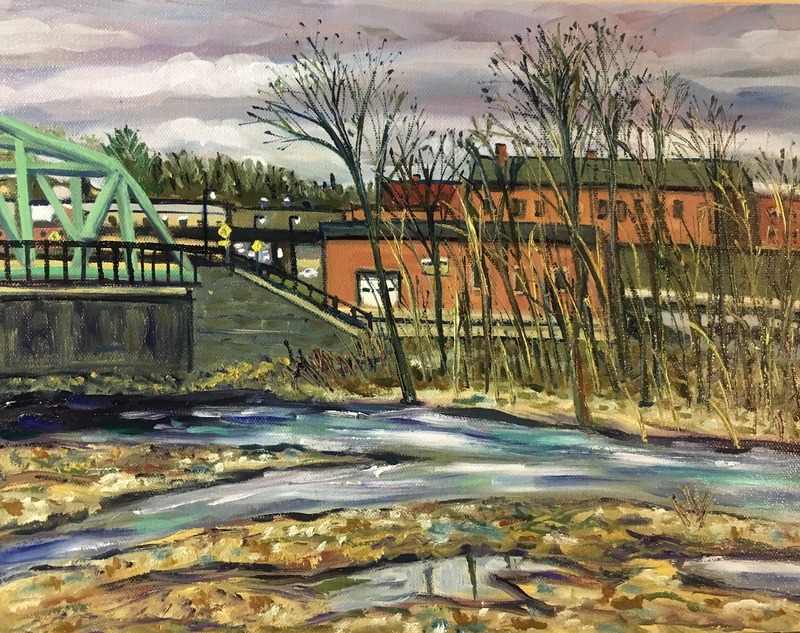 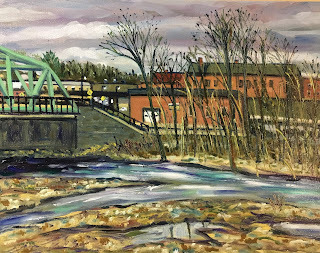 I started painting this scene of the Westfield River and its surroundings last night. 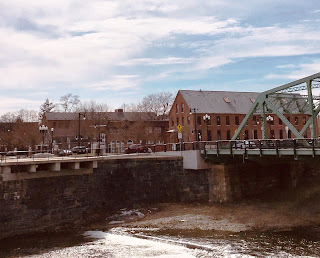 The clouds turned into beautiful peachy and gray colors shortly before the light disappeared and it became dark. 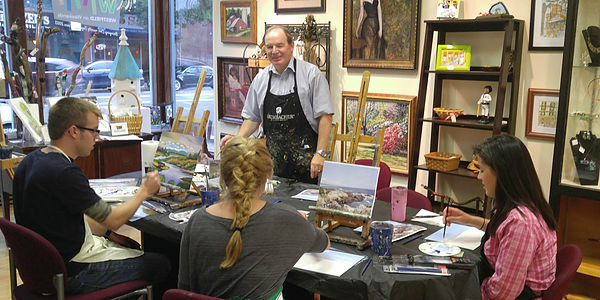 I will return to finish off the painting at the same time of day. I had fun over the weekend painting from my photo that I took last Fall. 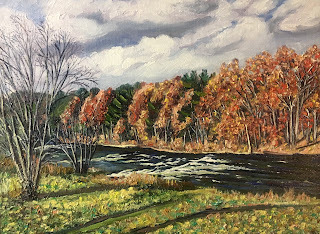 Picture below is entitled "Autumn View-Westfield River", 16" x 12", oil on canvas panel, I will paint a Spring version soon. 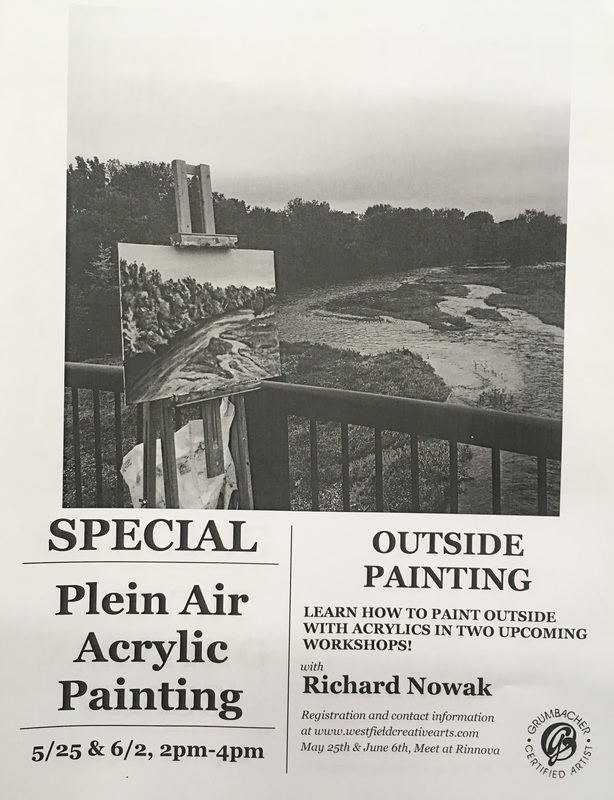 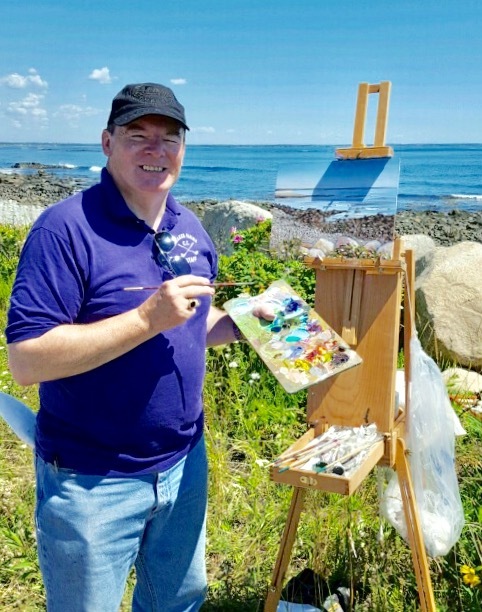 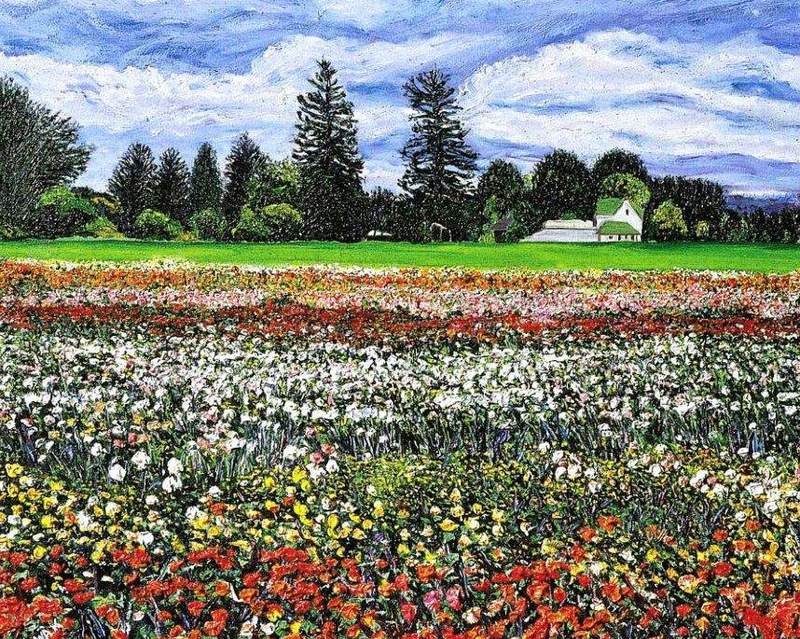 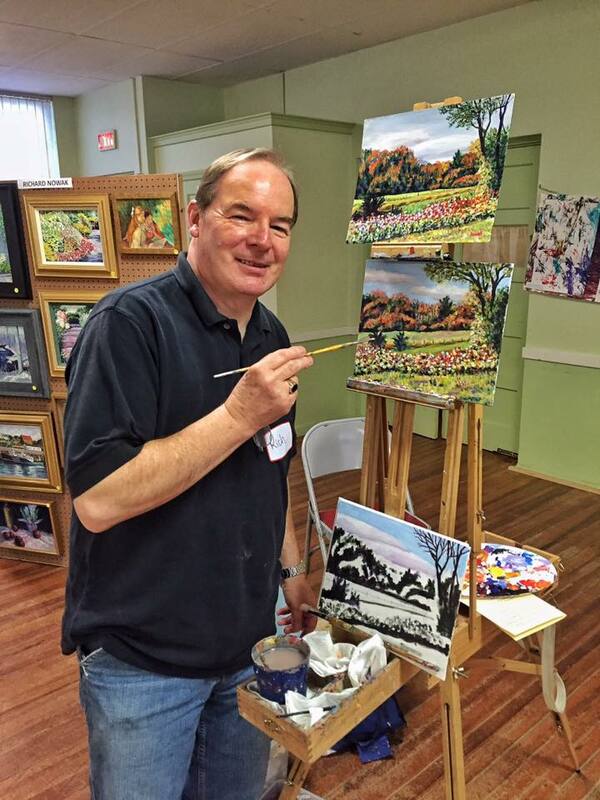 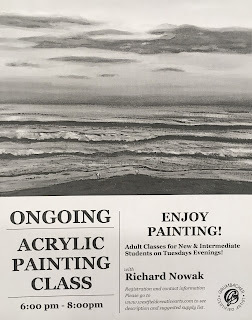 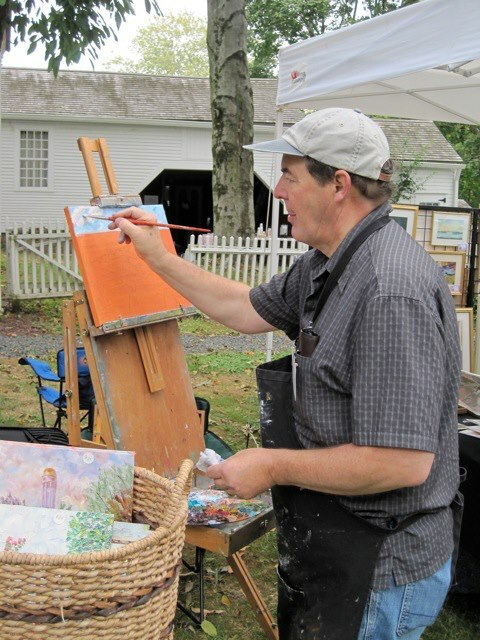 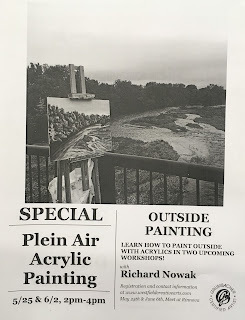 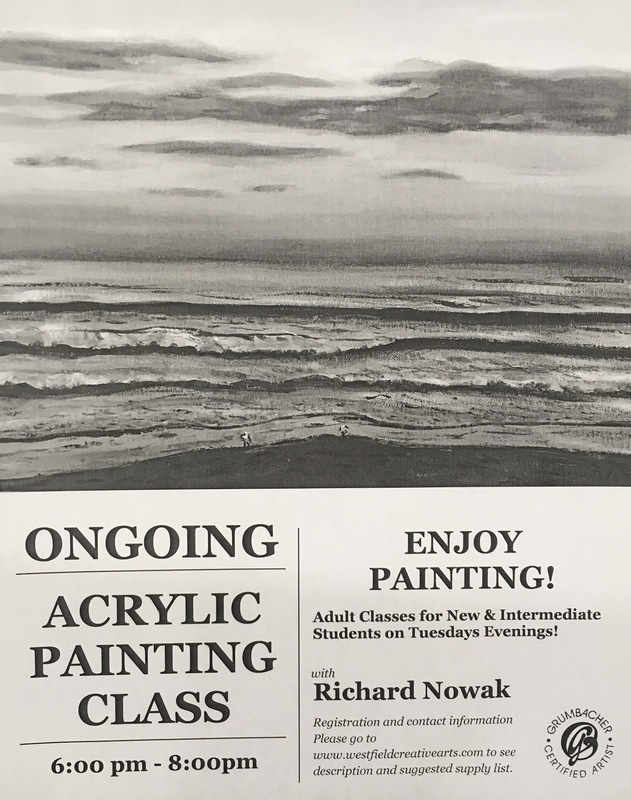 I have two flyers advertising my acrylic painting classes at the Rinnova building in downtown Westfield on tuesday nights and also my upcoming two plein air events! 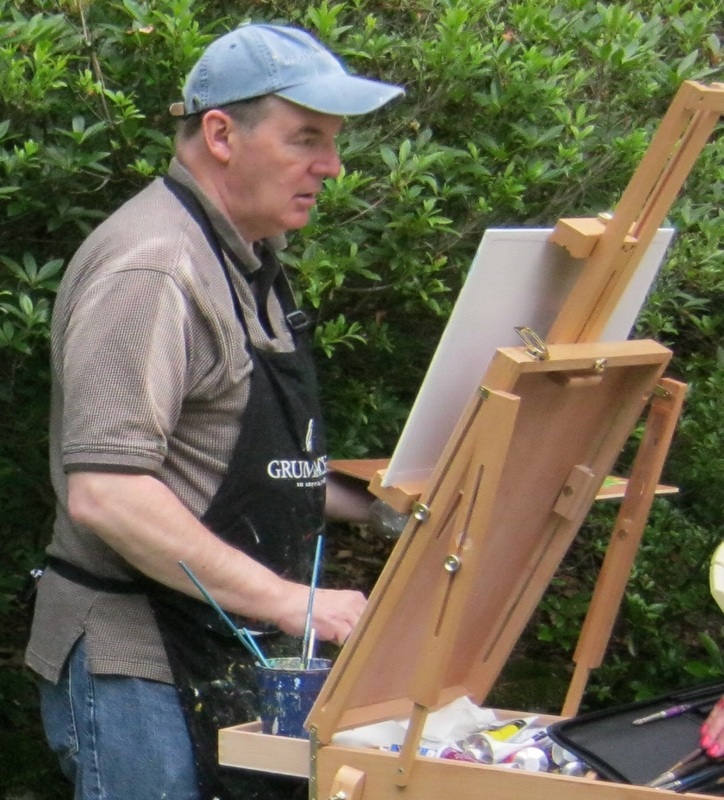 Sunday afternoon I started painting plein air on the north side of Westfield with my easel set up in a parking lot. 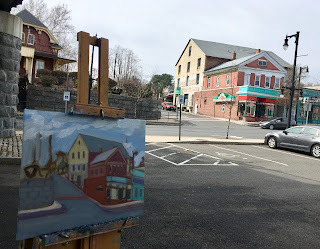 I am almost finished with this building painting and will upload shortly. 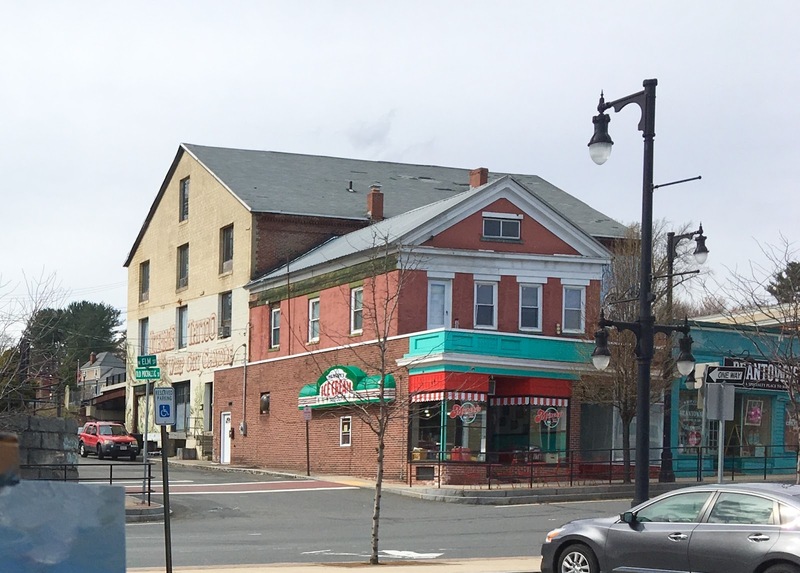 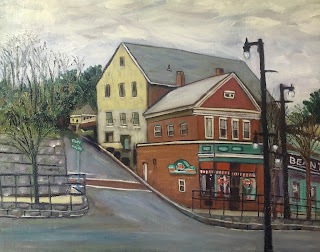 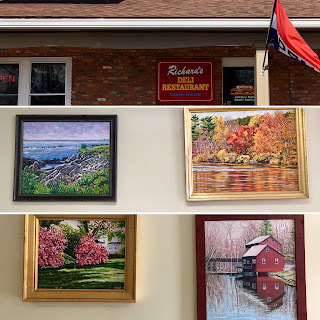 I placed over ten oil and acrylic paintings on the walls of Richard's Grinders on Union Street in Westfield, MA. 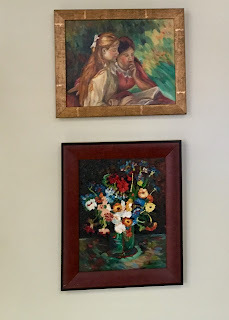 Below are some of the paintings pictured on the walls! Click on the pictures before to see enlargements. 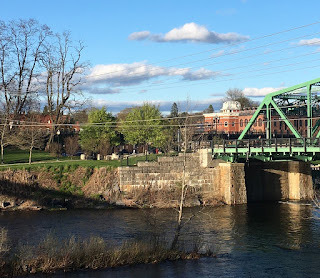 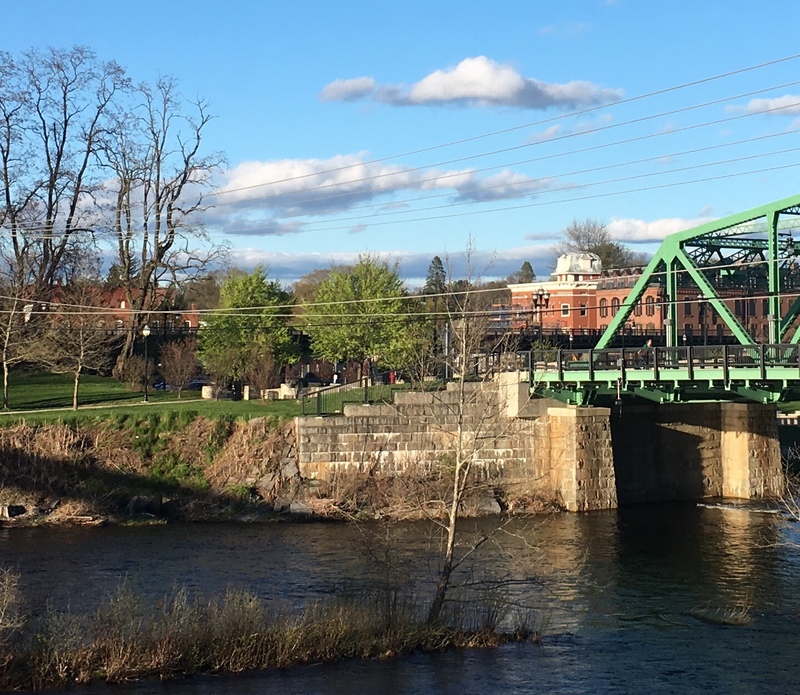 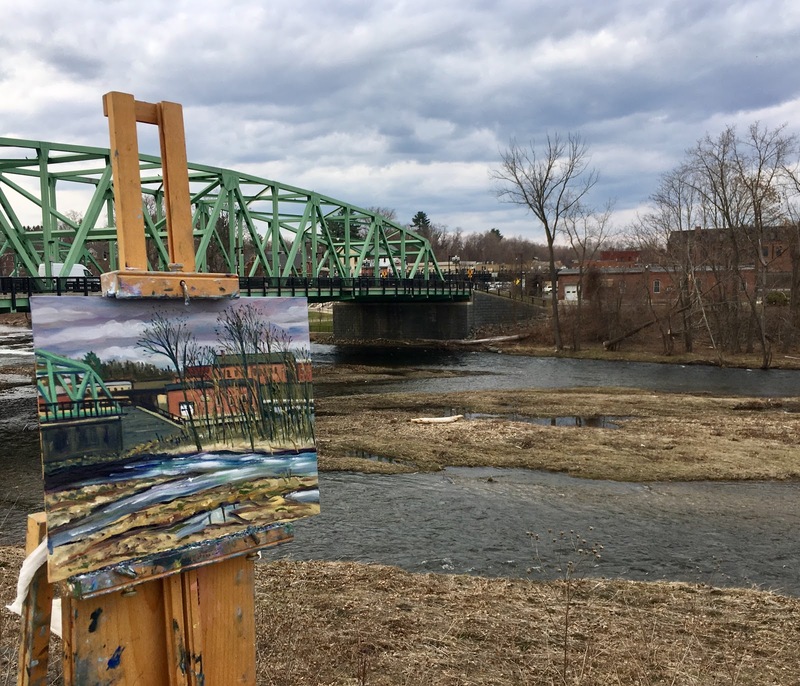 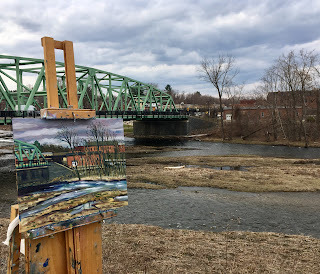 Last Sunday I had a great time painting outside on the dike in Westfield facing the Westfield River and the Great Bridge. 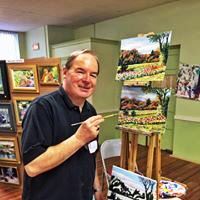 I will post the final painting after I make the final edits in the studio.